We have worked on more than 120 market research, consulting and advisory projects across various sectors and industries. Find here a selection of some of our projects. Thura Swiss implemented desk research and 15-20 in-depth interviews of food producers, retailers and wholesalers in order to capture insights on market growth potential, market segmentation analysis and competitor analysis of the client's segment in the food production market. Based on the information aggregated during desk research and in-depth interviews, we drew sound conclusion on how to implement a successful market entry. We looked at the growth potential and market segment that will need to be tackled while at the same time assessing competitors in the market and their positions. We outlined a strategic market entry plan that will take into consideration various distribution channels and costs related with these channels. We also assessed the values that the client’s brand will bring to the market in comparison with other products. Thura Swiss has been contracted by the World Bank to lead "Consulting Services for the Ease of Doing Business Reform Project in Myanmar". The project focuses on providing technical support to the Special Task force for Business and Trade Promotion headed by the Ministry of Commerce (MoC) and its members (the President's Economic Advisor, Deputy Ministers, UMFCCI Chairman and General Secretary). In the first phase, Thura Swiss together with the WB and the MoC identified prioritized areas to work on, for Thura Swiss to assess the regulatory barriers to doing business and to provide recommendations and advocate for the adoption. In the course of the project, Thura Swiss conducted in-depth analysis of existing processes and procedures for issuing of import licenses and permits using regulatory reform methodologies and tools such as process mapping, standard cost model, cost-benefit analysis and public-private dialogue and identified critical regulatory areas for further improvement of the business environment. In the second phase, Thura Swiss also helped to conduct preliminary research on the license registration within the Ministry of Industry, which provided the World Bank a brief overview of the business registration volumes per sector. The project was conducted as an extension to the “Consulting Services for Ease of Doing Business Reform Project in Myanmar” for the IFC World Bank Group. Thura Swiss was contracted to assess the effectiveness of import policy changes, which were introduced by the Ministry of Commerce in order to reduced constraints in trading. Thura Swiss measured the effectiveness of a newly introduced negative list and the satisfaction of importers who were affected by the policy changes. As a result of our research, we identified which HS Codes still have bottlenecks after relaxing their licensing policy. For this project, Thura Swiss conducted a survey of 150 companies in and around Yangon City and 17 in-depth interviews for both general and specific examples of problematic HS Codes. Thura Swiss provided consulting services to develop a comprehensive and structured business plan/strategy for a client in the agricultural sector who was in the process of forming a public company. Thura Swiss has also been contracted to develop the investment memorandum for the current shareholders to be able to present the company’s vision and strategy to potential investors. In the project, we ensured that the client will comply with the standards defined by the Security and Exchange Commission of Myanmar regarding the development of a public company. In addition, Thura Swiss provided general advisory on the strategy of the public company to develop a vision, identify opportunities and risks, select focus areas of the business, and assess potential competitors. As the client wished to obtain clear facts on the investment environment in Myanmar, Thura Swiss provided research services that included preparation of necessary data such as the laws and rules related to urban and rural development planning, port and harbor planning, construction, design, real estate, land, sea and relevant working environment standards and engineering project basic data. Also included were the laws and policies on conservation of historical landmarks and sites, existing buildings, forest protection and wetlands protection. The report presented to the client included national development program for airports (airport infrastructure development program, future 20 years plan, sizing airport development plan, situation of private sector participation in airports development) and the statical data that includes GDP from 2009 to 2013, urban and suburb income, all kinds of fees charged by Yangon ports, etc. Our research report was a point of reference which allowed the client make strategic decisions for his investment in Myanmar. Thura Swiss undertook market research and a feasibility study for the development of a luxury boutique hotel for a local party willing to partner with foreign investors. Our financial and commercial feasibility study was the centrepiece of the business plan as it entailed brief explanation on Myanmar growing tourism sector, financial development (cost, profit, and return on investment), and legal aspect and tax structure in Myanmar. 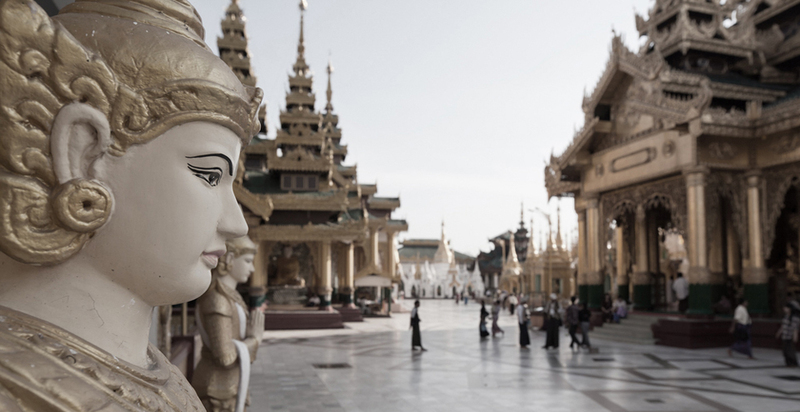 Thura Swiss provided the client an in-depth study on Myanmar’s LPG market. We implemented in-depth interviews in the market with importers, distributors and wholesalers in order to get information to forecast the demand and supply, develop customer types’ profile, existing players and potential customers. We also implemented 6 focus group discussions to interact with the residential customers and asked deep and open-ended questions to get a better understanding on the consumers’ purchasing behaviors. Our collected data allowed the client to gain a comprehensive understanding and insights into Myanmar’s LPG market with a focus on understanding consumers and forecasting demand. Thura Swiss provided the client with an in-depth study on Myanmar’s downstream Oil and Gas market and covered different research aspects such as demand drivers, supply level and assessment of the competitiveness of the environment. We also provided a cost analysis and recommendations for the client as they were willing to assess the possibility to enter the market. Thura Swiss provided the client an in-depth analysis on fuel distribution in Myanmar and covered 7 different aspects: overview of the downstream fuel market, retail demand, industrial demand, economics, supply, infrastructure and logistics and market recommendations. This allowed the client have a precise view on the feasibility of entering the Myanmar market. Thura Swiss conducted for the client a cost analysis and price analysis and identified the margins made for every steps through the value chain. Thura Swiss conducted a nationwide study of a livestock sector in Myanmar to coordinate a 3 years PPP involving the Myanmar Livestock Federation and 8 European companies. We identified individual components of the value chain, developed information of the sector to provide a better understanding and general idea about consumer trends and the development of the the consumption. Thura Swiss conducted an analysis of the appropriate business strategy for the client, giving them the tools and insights on the microfinance sector in Myanmar to prepare their market entry. This project was heavily backed up with industry research to provide the most updated information and necessary knowledge on the sector in order to have a clear view of the market. Part of the provided services was implementing mystery shopping and conducting in-depths interviews with the competitors to have insights on the current industry practices. The report included current market saturation analysis, current microfinance models, legal structure, customer services and customer acquisitions and full details on the loan processes. The Thura Swiss team then put together a business plan to support their license application. Thura Swiss provided to the client a market overview of the microfinance sector. The work included a description and analysis of the microfinance market, informal finance market, market potential for payday loans, payday loan business ecosystem as well as distribution channels for payday loans. Furthermore, we looked for ways to enter the market through M&A. Thura Swiss provided a shortlist of takeover targets and a comparative analysis. Thura Swiss conducted 12 in-depth interviews that included a variety of respondents (Financial Regulatory Department, Ministry of Finance, Myanmar Microfinance Bank, major local and foreign MFIs in Myanmar). As part of the GIZ Financial Sector Development (FSD) project to support the banking sector with a special focus on SME-Finance, GIZ decided to co-publish with Thura Swiss a new report with the objective to provide a wide dissemination of in-depth knowledge on selected financial sector topics in relation with the current transformation process. The report captured the current financial transformation to a democratic state from the point of view of key decision-makers. This publication targets the following audience: Myanmar’s main decision makers, stakeholders in the financial sector as well as economists and scholars. The client engaged our services in order to reduce his risk when entering the purified water business in Myanmar. In this project, we applied both our industry and consumer research units to provide a complete view of the water market. In a first step, we calculated the total market size and the market shares of the main players. We then assessed the main competitors in the market and analysed their marketing strategies. Based on our findings, we assessed the market outlook and the potential of developing a new brand in Myanmar. The research entailed a survey of 1,200 consumers to understand drinking behavior and satisfaction, brand preference and loyalty, brand awareness, brand image based on different socio-economic classes (SEC). The client was planning to launch LTE devices targeting mostly urban and semi-urban area in Myanmar. Thura Swiss provided research services in order to equip the client with a better understanding of the usage behaviors in the telecommunication market. We implemented 6 focus group discussions to gather necessary data such as consumer preferences, customer satisfaction, consumption patterns, campaign impacts, consumer behavior, customer knowledge on internet and LTE devices. Our research report allowed the client to make adjustments in the market approach to target appropriate consumers and tailor products. The client wanted to have a better understanding of the insurance market in Myanmar and the general environment, awareness and various behaviors of the Myanmar people toward risks and insurance products. This project was being implemented in the context of a soon expected liberalization of the insurance sector in Myanmar. Thura Swiss applied desk research, face-to-face surveys (CAPI) and telephone surveys (CATI) to provide a clear view of the insurance sector in Myanmar. In order to collect necessary data for B2C (individuals and households decision), Thura Swiss implemented a telephone survey with 800 respondents (400 urban and rural each) structured along census and Thura Swiss internal data. For the B2B side, we ran 150 face-to-face surveys with senior/operation managers/decision makers from different enterprises on insurance products. Thura Swiss interviewed 1,600 people using CATI (computer-assisted telephone interviewing) in order to have insights on the telecommunication market in Myanmar. The research entailed consumer analysis to understand mobile brand usage, preferences of mobile services, comeback users experience and preferences. Our research equipped the client with tools to understand success factors for product development and to adopt a stronger brand through effective marketing strategies. Thura Swiss implemented a telephone survey of 1200 consumers in three regions (Upper, Central, Lower Myanmar), carefully selected from our in-house database in order to represent the country's population. The aim of the survey was to capture information about brand awareness, brand usage and preference, brand image, brand positioning and brand valuation as well as consumer behavior analysis. We provided through this research report a full analysis on local habits and preferences towards the consumption of a particular brand but also regarding the consumption of competing products. Thura Swiss broke down the information along Socio-Economic Classes as well as along geographic regions.